Compounds (electronegativity)- Cobalt combines with a fair number of things. In cobalt’s powder state, it is capable of igniting when it steadily combines with oxygen. Hydrogen gas is produced when cobalt combines with most acids. Abundance- Cobalt can be found in several places around the world. Some of which include Morocco, Canada, Congo, China, Russia, and Australia. although cobalt can be found in all these locations, earth’s core contains the most cobalt. Cobalt has never been found isolated, but instead it is within other solids such as cobaltite or erythrite. Uses-The sparkling blue of cobalt is put to great use in things such as tile and enamel, pottery, and most commonly porcelain and glass objects. Pieces of art that displayed cobalt’s color were very valuable back when the color change was a mystery. Cobalt’s different forms can be used to prevent or cure sickness, saving lives. This element also plays a big role in radiotherapy, a form of cancer treatment. The gamma rays that are found in this treatment include radioactive cobalt which is used to attack the cancer cells. History (discovery)- Although cobalt was recorded in being in King Tutankhamen’s tomb in the 1300’s and was used in China for pottery glazes, many chemists had the wrong idea of what made the substance blue. Bismuth and cobalt are found in a similar area, leading the chemists to confuse the two element, but Georg Brandt knew something wasn’t right. He proved them wrong by setting the cobalt apart, letting the red crystals within the substance dry. This produced Cobalt oxide. Cobalt has the atomic number 27, it has the atomic weight of 59, and an atomic mass of 9. Cobalt consists of 27 protons, 32 neutrons, and 27 electrons. The boiling point of cobalt 5,301 degrees fahrenheit. The melting point of cobalt is 2,723 degrees fahrenheit. The density of cobalt is .86 grams er cubic centimeter. Cobalt is a group number of group 9. The word cobalt comes from the German word for goblin or evil spirit kobald, and it comes from the greek word for mine cobalos. Cobalt was first discovered by George Brandt Swedish chemist in 1739. Brandt was trying to prove that a certain mineral had the ability to turn glass blue, instead of bismuth which was believed to do that back then. Extraterrestrial cobalt was found first in meteorite at the cape of good hope in 1819. Cobalt’s abundance in earth is .003 percent. Cobalt’s abundance in the universe is .0003. Cobalt is essential to humans to live because it is part of vitamin b12. Lack of this vitamin causes pernicious anaemia, a condition in which the body can not produce enough red blood cells. This vitamin also helps contain nerve tissue. Cobalt is in the blood .2-20 p.p.b., cobalt is in the bones 1-4 p.p.b., and cobalt is in the tissues with approx. .3 p.p.b.. The total amount of cobalt in the body is 1-2 milligrams. 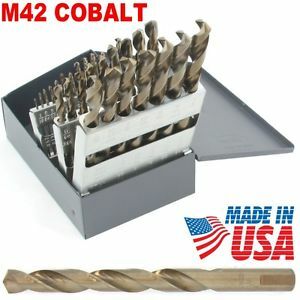 Cobalt today is used to help make drill and machine bits. Cobalt is used for this because it is one of the strongest alloys. It is a ingredient in vitamin B12 and without it we would die. Cobalt is also used to help make nuclear weapons. Also it is used to color pottery blue, people have done this for many years. To this day cobalt is still being used for pottery and nuclear weapons. Cobalt is not very reactive except for one isotope. When it bonds with oxygen it does not burn or catch on fire unless it is it’s powder form. Cobalt has the ability to bond with most acids producing hydrogen glass. Cobalt does not react with water that is at room temperature. In the past cobalt has been used to color pottery. Also in the past cobalt was a deadly component for atmospheric nuclear bomb tests in the 1950’s. n the tomb of Pharaoh Tutankhamen who ruled from 1361-1352 B.C., there was a small glass object that was colored blue by cobalt. Cobalt creates a blue color when sodium’s strong yellow emissions of sodium interfere with spectroscopic measurements, then cobalt blue filters are used to block it out selectively, allowing other colors of light through. Cobalt has been used a lot in the past by the world. It can be used to create something beautiful or destroy lives of many. This element is very helpful to the world. The whole earth’s inhabitants can’t live without this element. The future has yet to tell what the world’s future uses for cobalt are. Emsley, John. Nature's Building Blocks: An A-Z Guide to the Elements. Oxford: Oxford UP, 2001. Print. "The Element Cobalt." It's Elemental -. N.p., n.d. Web. 30 Oct. 2015. <http://education.jlab.org/ itselemental/ele027.html>. "Chemistry of Cobalt." - Chemwiki. N.p., 02 Oct. 2013. Web. 30 Oct. 2015. <http:// chemwiki.ucdavis.edu/Inorganic_Chemistry/Descriptive_Chemistry/ Elements_Organized_by_Block/3_d-Block_Elements/Group_09%3A_Transition_Metals/ Chemistry_of_Cobalt>. "Abundance in Earth's Crust of the Elements." Abundance in Earth's Crust for All the Elements in the Periodic Table. N.p., n.d. Web. 30 Oct. 2015. <http://periodictable.com/Properties/ A/CrustAbundance.an.html>. Abundance in the Universe of the Elements." Abundance in the Universe for All the Elements in the Periodic Table. N.p., n.d. Web. 30 Oct. 2015. <http://periodictable.com/Properties/A/ UniverseAbundance.v.log.html>. "#27 - Cobalt - Co." #27 - Cobalt - Co. N.p., n.d. Web. 30 Oct. 2015. <https:// www.hobart.k12.in.us/ksms/PeriodicTable/cobalt.htm>. "Untersturmfuehrer Karl Georg Brandt, Judenreferent of the KdS Warsaw. - Yad Vashem Photo Archive." 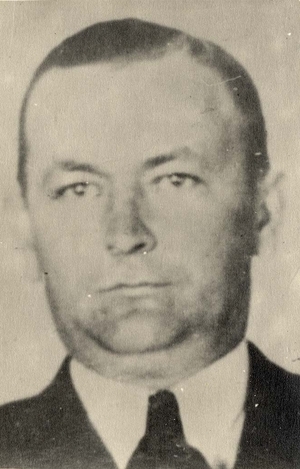 Untersturmfuehrer Karl Georg Brandt, Judenreferent of the KdS Warsaw. - Yad Vashem Photo Archive. N.p., n.d. Web. 30 Oct. 2015. <http://collections.yadvashem.org/ photosarchive/en-us/9871.html>. POTTERY BOTTLE." 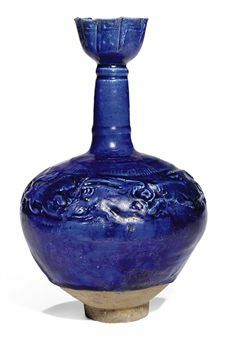 A MOULDED COBALT-BLUE GLAZED POTTERY BOTTLE. N.p., n.d. Web. 30 Oct. 2015.